Customers purchasing through Inoxko gain immediate access to stainless steel produced by the World’s best producers ensuring UK customers are ‘Brexit ready’ from March 2019.
Who are we - Inoxko Ltd is a 100% British owned, independent company formed after a management buy-out (MBO) in 2016 of the stainless-steel division of one of the World’s largest steel trading companies of which our founder, Tony Lockley was a director. Inoxko was derived from the word Inox, an international term used to describe stainless steel. What do we do - We are one of the UK’s leading importers and distributors of stainless steel Cold rolled cut sheets, Coils and Precision coils, with extensive UK stocks ready for immediate despatch. We are also expanding into Hot Rolled Coils, Plates, Bar & Wire products, Seamless and Welded Tube & Pipe - these additional products are currently available ex-Mill. Our primary sales focus is to independent distributors and service centres, plus selected large volume end-users, with sales from our UK stocks & ex-mill to UK and export customers. Our People - With an average of 30 years’ experience each working in the stainless steel industry including employment, pre MBO at one of the World’s largest steel trading companies, Inoxko personnel have a wealth of experience in stainless steel International Trade & distribution. 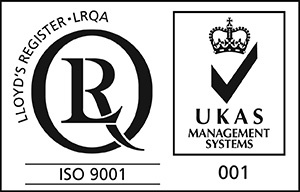 Quality - Inoxko is certified by Lloyds LRQA (UKAS approved) to ISO9001. We have long standing relationships with Suppliers Worldwide who are visited on a regular basis to ensure continuity of Inoxko’s high quality standards. What’s Special about Inoxko - Customers purchasing through Inoxko gain immediate access to high quality ,competitively priced stainless steel, produced by the World’s best quality approved producers ,delivered their works on open account terms (subject credit) without the risks and negative cash flow of LC’s or pre-payments associated with dealing directly with overseas suppliers. Inoxko is an Independent company, not tied to any one supplier, with the flexibility to choose the best suppliers appropriate to each customers’ requirements in terms of quality, price ,delivery and product availability (more information under Services & Risks). Our Mission - to locate, evaluate and nurture the World’s best Stainless Steel producers and suppliers into long term supply sources for Inoxko and its customers. To give our customers the edge over their competitors through a combination of better price, quicker more reliable delivery, superior product quality, and reduction/elimination of risks associated with customers buying overseas directly allowing both our customers and Inoxko to grow and mutually profit.